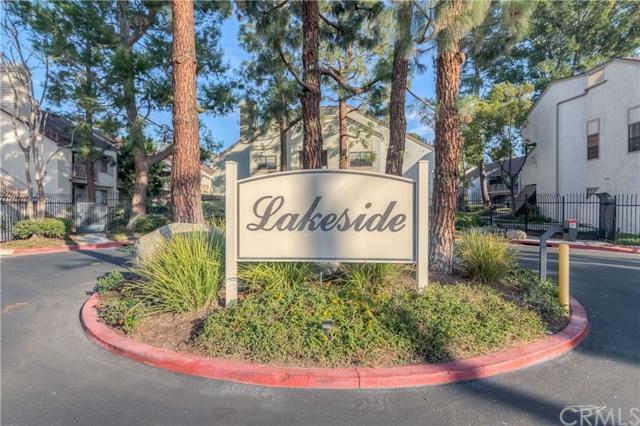 Popular Lakeside Condo Community in Garden Grove, one of the largest end unit models in the community! Walking distance to Main Street and home to the famous Strawberry Festival. 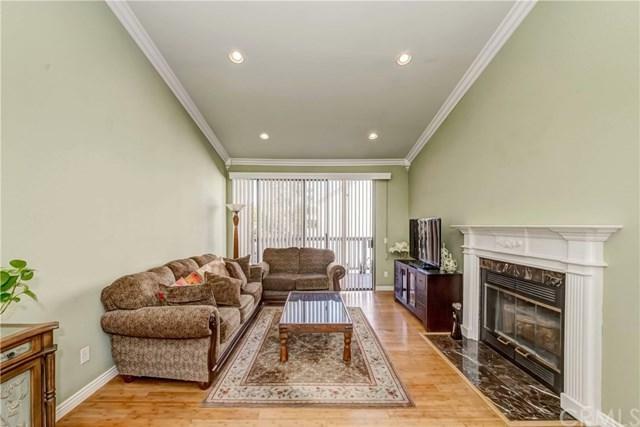 This home is upper end unit with 2 bedrooms and 2 baths. Open floor plan and lots of natural light and skylight. Living room has a cozy fireplace with mantle and beautiful views of the flowing stream. 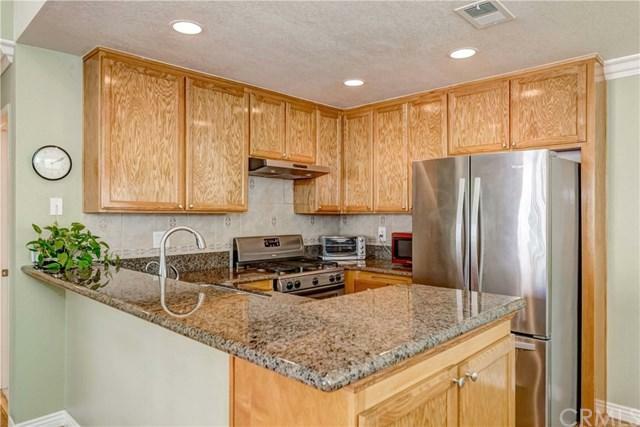 Kitchen is spacious with an eating area, gas stove, dishwasher and breakfast counter. Both bedrooms have sliding glass door access to the patio, crown molding, recess light, high ceiling. Large master bedroom features a large walk-in closet and a private patio. Laundry hook-ups are conveniently located in outside closet. Perfect for the First Time Homebuyer. HOA pays for water and trash! There are two swimming pools to enjoy and relax at. Excellent condition, very quiet neighborhood. 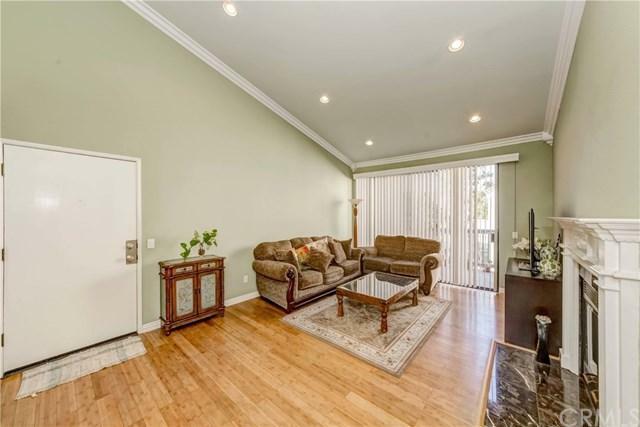 Close to shopping, restaurants, schools, Downtown Garden Grove, community college, Disneyland and Anaheim Stadium and the 22 & 5 freeways. Sold by Barbara Brukman of Broadmoor Realty, Inc..
Based on information from California Regional Multiple Listing Service, Inc. as of 2019-04-18T13:35:03.117. This information is for your personal, non-commercial use and may not be used for any purpose other than to identify prospective properties you may be interested in purchasing. Display of MLS data is deemed reliable but is not guaranteed accurate by the MLS. Licensed in the State of California, USA.